“Peridot,” Mogok gem tract, Myanmar, brilliant cushion cut, 17.0 x 9.5 x 5.7 mm, 6.92 cts. © Rob Lavinsky, www.iRocks.com. Used with permission. Peridots have been prized as jewelry stones since ancient times. Always green in color but with considerable variations, their particular shades depend on their locality of origin. Colors Forsterite: green, pale lemon yellow. Fayalite: green, yellowish, amber brown, brown, olive green. Crystallography Orthorhombic. Crystals rare, usually striated prisms, corroded grains; often as rolled pebbles, or in nodules called bombs in volcanic areas. Refractive Index Varies with composition of series members, 1.635-1.879. See "Identifying Characteristics" below. Hardness 6.5 (fayalite) to 7 (forsterite). Specific Gravity 3.2-4.39. (Varies with composition, see "Identifying Characteristics" below). Birefringence Varies with composition of series members, 0.033-0.052. See "Identifying Characteristics" below. Absorption Spectrum Peridot shows a strong iron spectrum, with three main bands: Strong at 4930, narrow at 4730, broad at 4530. While it also shows some vague bands at 6530 and 5290, the set of three evenly spaced bands is distinctive. Phenomena Chatoyancy and asterism, very rare. Mg2SiO4-Fe2SiO4. Rarely Mn also present. Peridots: weak, green to yellow-green. Fayalite: greenish yellow/ orange-yellow/ greenish yellow. Biaxial (+/-). Varies with composition of series members, see “Identifying Characteristics” below. Peridot comes from the Middle English peritot. Forsterite is named after the mineralogist J. Forster. Fayalite is named after Faial Island, in the Azores, Portugal. Olivine comes from the Latin oliva for “olive,” because of its color. Intermediate olivines, such as peridots, are a main constituent of basic igneous rocks. Concentrations in basalts and ultrabasic rocks can be mined for gem content. Forsterite occurs in magnesian limestones that have been altered by heat and pressure from igneous intrusion. Fayalite is rare, occasionally seen in lithophysae (balls of cristobalite) in obsidian. Glass balls that look like bubbles in Hawaiian material. Some U.S. localities contain inclusions of Cr-spinel (not magnetite as previously thought); also noted are biotite grains. Peridots can also show distinctive “lily pad” inclusions. See “Identifying Characteristics” below. Peridot: Norway (4.51), Egypt (8.22) // Arizona (9.20, 8.25.) Photo © Joel E. Arem, PhD, FGA. Used with permission. Peridots belong to the forsterite-fayalite solid-solution series, which forms part of the olivine group of minerals. The term peridot refers to green, gem-quality olivine. Forsterite is the magnesium (Mg) dominant end, while fayalite is the iron (Fe) dominant end. As idiochromatic gems, peridots get their characteristic green color from iron, an essential element of their chemical structure. In peridot, ferrous iron (Fe2+) creates green, while ferric iron (Fe3+) creates yellow. While traces of chromium (Cr) in peridots don’t cause hue, they may make the green color brighter. 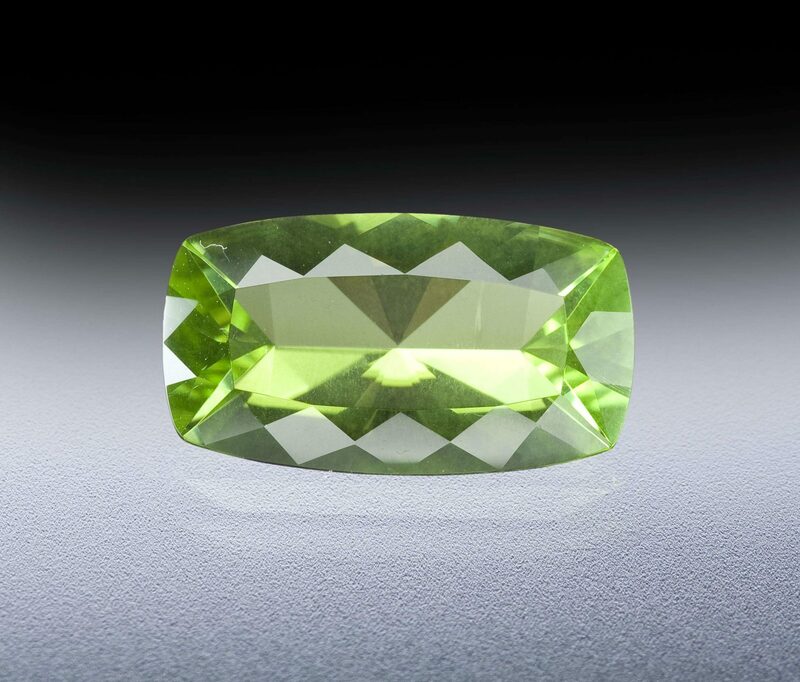 An iron content of just 12 to 15% in olivines creates the ideal peridot color. Higher levels create a “muddier” brown color. Thus, olivines closer in composition to the forsterite end tend to be greener. In contrast, those closer to iron-dominant fayalite tend to be yellower and browner. Therefore, most peridots are closer to the forsterite end. Cat’s eye and star stone peridots are known but very rare. 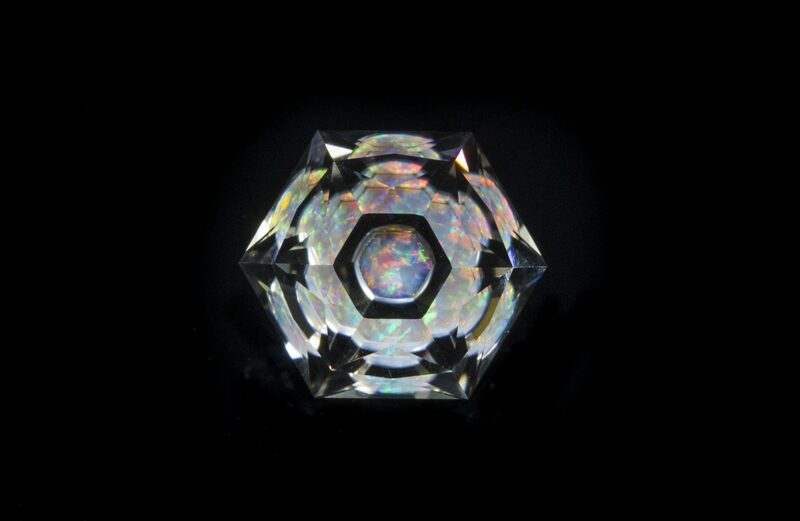 In cabbed gems, inclusions can create a star with a weak cross or a distinct 4-ray effect. 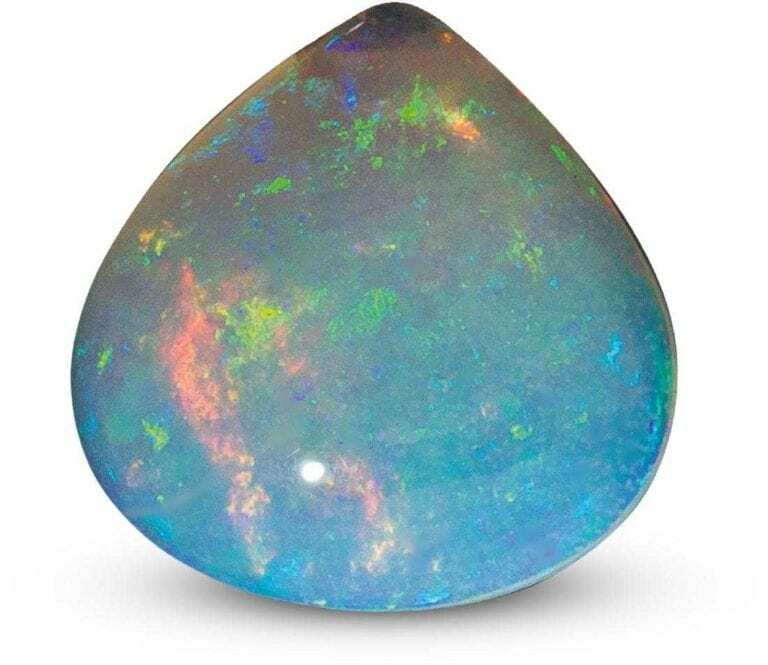 The modern August birthstone has a long history. The celebrated Isle of St. John, or Zabargad, Egypt, in the Red Sea, has produced peridots since the time of Ancient Egypt. This site has also produced one of the most confusing name mixups in gemology. The Ancient Greeks called this island Topazios, which was said to produce a yellow-green gem. This name for the island eventually led to the name topaz for those famously (but not exclusively) yellow gems. Oddly enough, the gem modern gemology identifies as topaz does not occur on this island. However, gems from this island were also called chrysolite, Greek for “golden stone.” By the 19th century, chrysoberyl, prehnite, and peridot (all green to yellow-green gems) were called chrysolite. 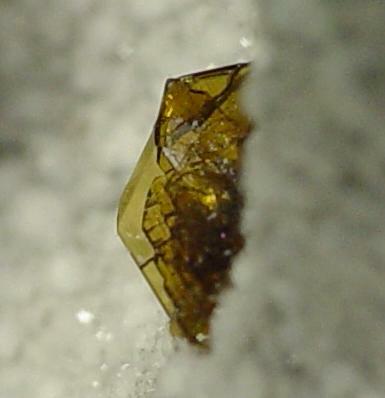 “Forsterite Var. Peridot (Rough & Cut Set),” crystal 41.7 cts and 2.1 cm in length, cut gem 3.07 cts., Zebirget, Egypt (St. John’s Island). © Rob Lavinsky, www.iRocks.com. Used with permission. 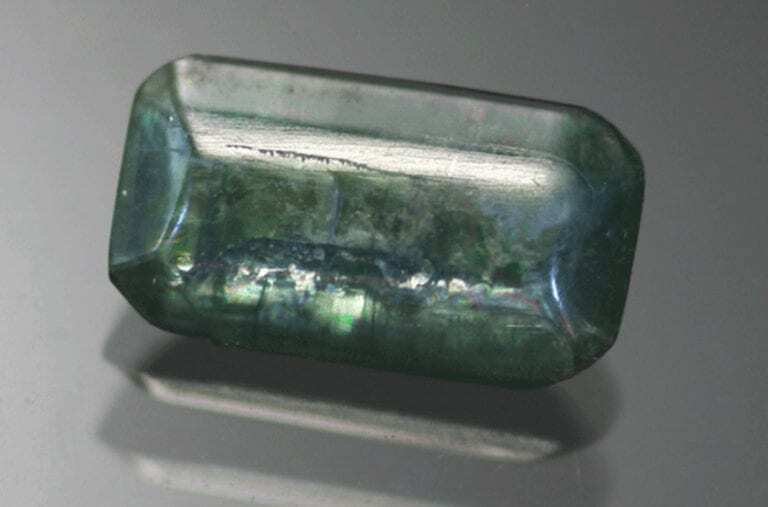 You might still encounter the term chrysolite used synonymously with peridots or sometimes in reference to intermediate members of the olivine forsterite-fayalite series. Nevertheless, gemologists today no longer use this term. Topaz, chrysoberyl, prehnite, and peridot (olivine) are all distinct gem species. Olivines (those from Earth) form in the Earth’s mantle. Peridotite, an igneous rock made primarily of olivine and pyroxene, makes up most of the upper mantle. Brown olivine gems, rich in iron, can be very beautiful, especially when the color runs more golden than brown. Although very rarely found in nature, fayalite commonly occurs in iron slag produced by metallurgical processing. Greenish peridots generally have a specific gravity of 3.3-3.4; brownish stones about 3.5. “Fayalite on Cristobalite,” 0.2 cm fayalite crystal inside cristobalite vug, Little Lake, California, USA.© Rob Lavinsky, www.iRocks.com. Used with permission. 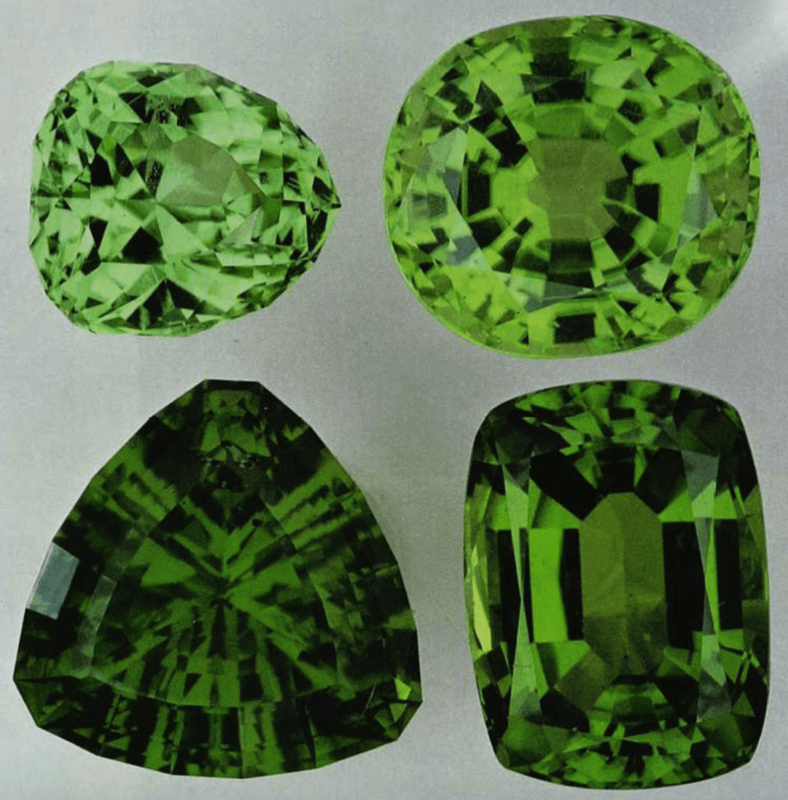 Peridots have very strong double refraction, which can produce doubling and fuzziness effects. This can help identify them. While it also shows some vague bands at 6530 and 5290, the set of three evenly spaced bands is distinctive. Under 10X magnification, peridots will often reveal a distinctive, disk-like liquid and gas inclusion. Known as “lily pad” inclusions (or sometimes “lotus leaves”), these may form around spinel or biotite crystals as well as cavities. Scientists have synthesized both forsterite and peridot olivines using melt techniques. Dr. Kurt Nassau notes that chromium-doped synthetic forsterites have commercial applications for laser research and have also surfaced in jewelry. This material can be distinguished from natural forsterites and peridots due to lower SG and RI values as well as chromium-related features. However, synthetic peridot, grown for experimental purposes, may only differ from natural gems by its inclusions. (Gems & Gemology, Summer 1994, Vol. 30, No. 2). While actual synthetic peridots may still have no commercial availability or economically viable jewelry use, you can find many simulated peridots on the market. In green colors, synthetic corundum and spinel gems, as well as cubic zirconia, may be passed off as peridots. Some natural green gems can be confused with peridots, including emerald and demantoid garnet. 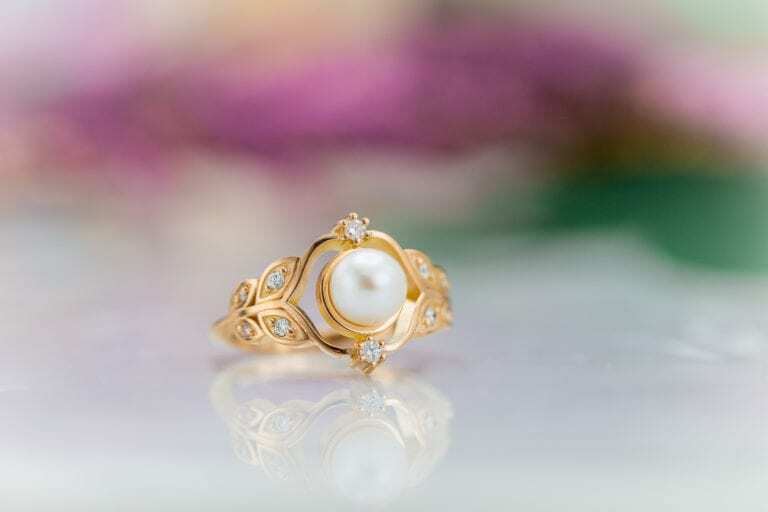 Gemologists can distinguish the properties of these gems fairly easily. However, you’re more likely to find peridots presented as emeralds and demantoids than vice versa, due to their greater value. 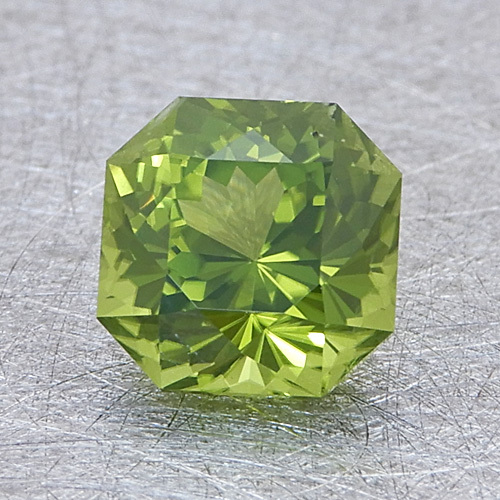 Perhaps the most frequently encountered peridot simulant is green glass. Although visually very similar, their physical and optical properties differ significantly. Most peridots don’t normally receive treatments. 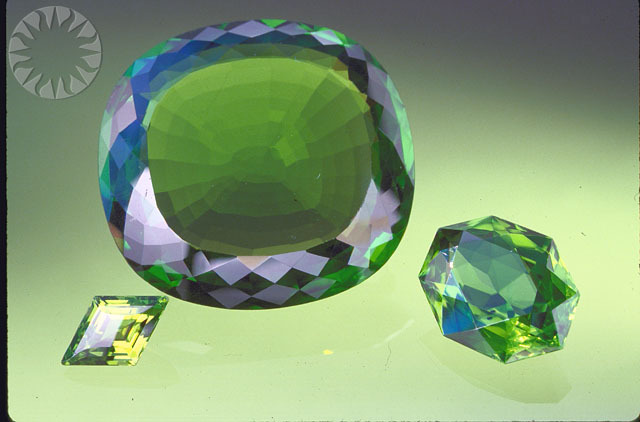 However, some cut peridots may be metal-foiled to improve their stability and color, like faceted glass. This island lies about about 35 miles off the coastal port of Berenica in the Red Sea. The most ancient known source of peridots, this often fog-shrouded location proved difficult for ancient navigators to find. 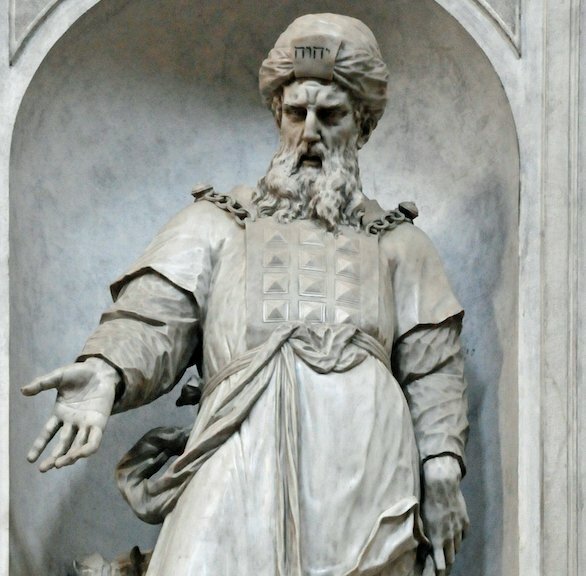 In fact, it had been lost for centuries until rediscovered in 1905. Zabargad produces peridot crystals in veins of nickel ore in an altered peridotite rock. This material has a very rich, not too dark, medium green color. The world’s only major source of very large peridots, the slopes of Kyaukpon, near Mogok, produce the material in masses. This material yields dark green, oily, transparent gems of fine color, some several hundred carats in size. Here, peridots can occur as grains, fragments of parent rocks now long eroded. Ants use them to build large hills. Peridot is also mined on the Navajo Reservation. These pieces usually yield small cut stones, under five carats, with occasional larger gems. Ameklovdalen, Sondmore produces peridots paler than those from other localities. These gems have a lovely lime-green hue because they contain less iron. Cuttable pieces are very rare in large sizes. They seldom yield cut stones over five carats. “Olivine,” More og Romsdal, Norway, 2.3 x 1.7 x 1.6 cm. © Rob Lavinsky, www.iRocks.com. Used with permission. United States: Riverside, San Bernardino County, California; Hawaii (in volcanic bomb nodules); Bolton, Massachusetts. Mexico: the state of Chihuahua contains one of the world’s largest olivine deposits. Similar to Arizona peridot, the material also occurs in brown grains. Ratnapura, Sri Lanka: olive-green gems; also nearly colorless material, the closest in composition to forsterite of any known gem olivine. Kenya: brown crystals; Emali produces gem quality material. Ross Island, Antarctica: some cuttable material. Mt. Batchelor, North Queensland, Australia: yellow-green, dark green, gemmy; potential for stones up to about 20 carats. Minas Gerais, Brazil; China; Finland; Germany; Greenland; Italy; New Caledonia; Pakistan; Russia; Umba district, Tanzania; Vietnam. Peridots can also have extraterrestrial origins. 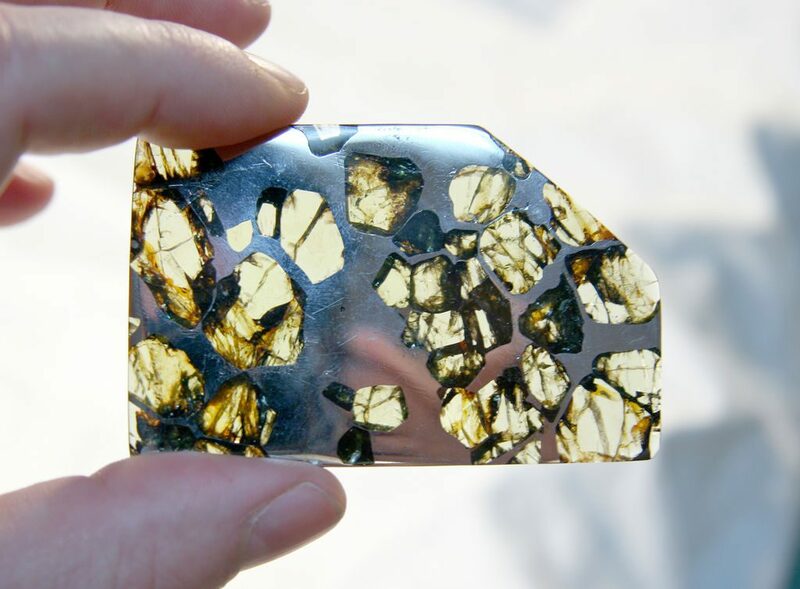 Pallasite meteorites have yielded facetable peridots. Myanmar material cuts the largest gems, followed by Egyptian material. 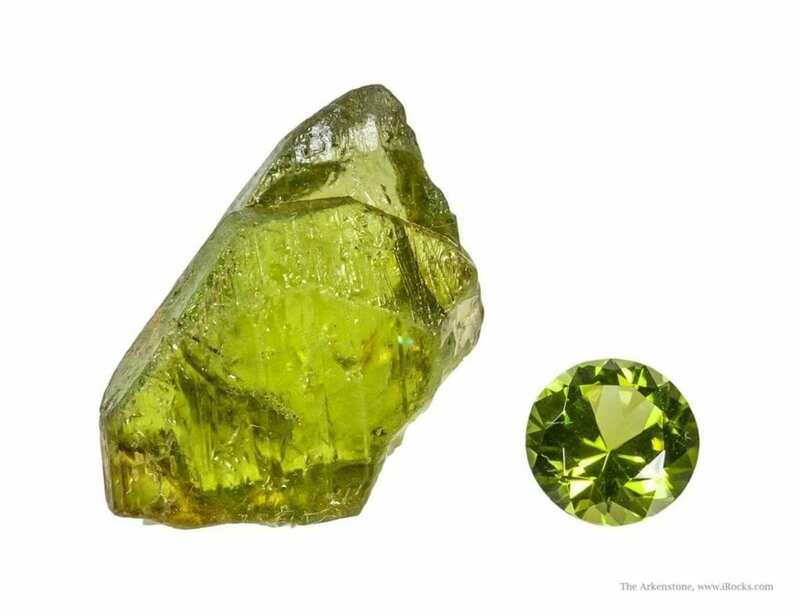 Peridot from Antarctica is limited to a few stones under 2 carats. 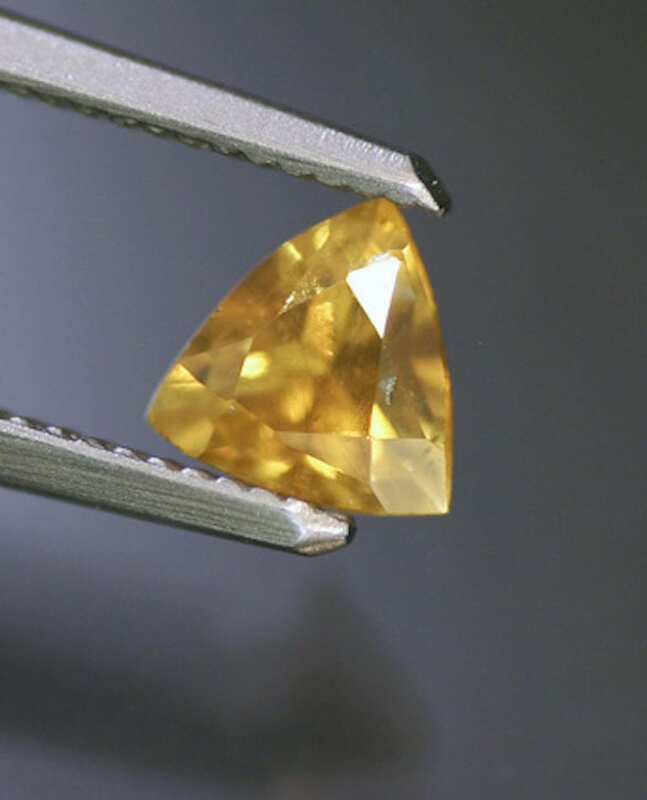 Arizona material over 10 carats is very rare in cut form. Smithsonian Institution (Washington, DC): 310 (Egypt); 287 (Myanmar); 22.9 (Arizona). Royal Ontario Museum (Toronto, Ontario, Canada): 108, 87.1, 83.3 (Myanmar). Devonian Group (Calgary, Alberta, Canada): 82.4, 24.7 (Myanmar). Geological Museum, London: 136 (Myanmar). Topkapi Museum, Istanbul: many large and fine cabochons. Private Collections: 284.85 (Egypt); 34.65 (Arizona). An immense (100-ct plus) clean crystal from Norway (by far the largest known) resides in a European collection. Olivines can range in hardness from 6.5 (fayalite) to 7 (forsterite). Thus, peridots can approach quartz gems in hardness. However, they are still sensitive to scratching from household dust (which is mostly quartz). Furthermore, they have some susceptibility to stress fractures. Avoid settings that place stress on peridots and clean them only with a soft brush, mild detergent, and warm water. Peridots also have some sensitivity to acids, even that in perspiration. Peridot jewelry should be worn against the skin only occasionally. Consult our gemstone jewelry cleaning guide for more recommendations. “Peridot,” featuring the largest known specimen in the world, at 310 cts, on display at the Smithsonian Institution, by Public.Resource.Org. Licensed under CC By 2.0. 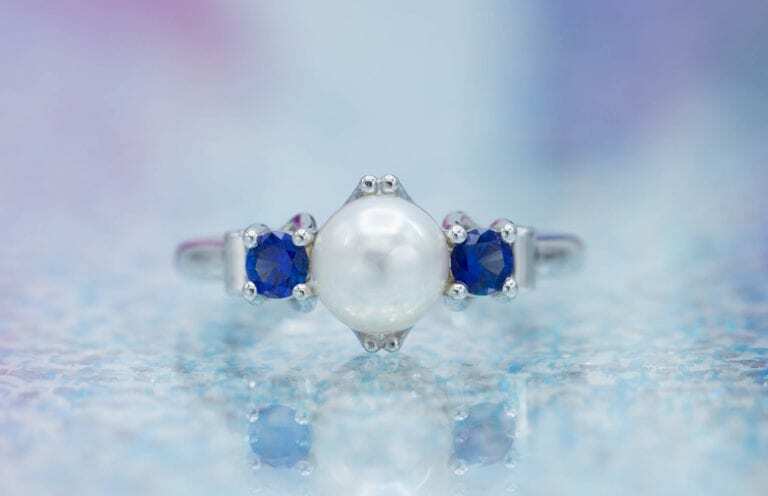 Will wearing gemstones so they touch your finger bring you health benefits? 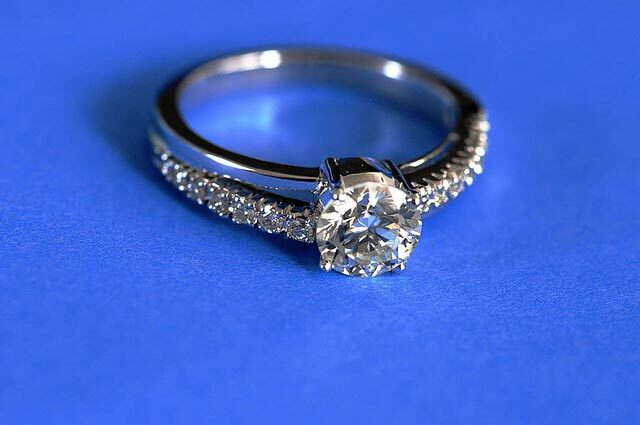 Learn what to look for in a ring stone.